To cop a phrase from my dad, I feel like Eleaf has more Pico’s than Heinz has varieties. For those of you under 35, that’s a reference to the “57” on the side of the Heinz Ketchup bottle. 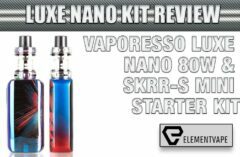 For those of you who’ve followed Eleaf’s output, you know there are about that many Pico’s on the streets right now – the latest one being the Eleaf iStick Pico RESIN. 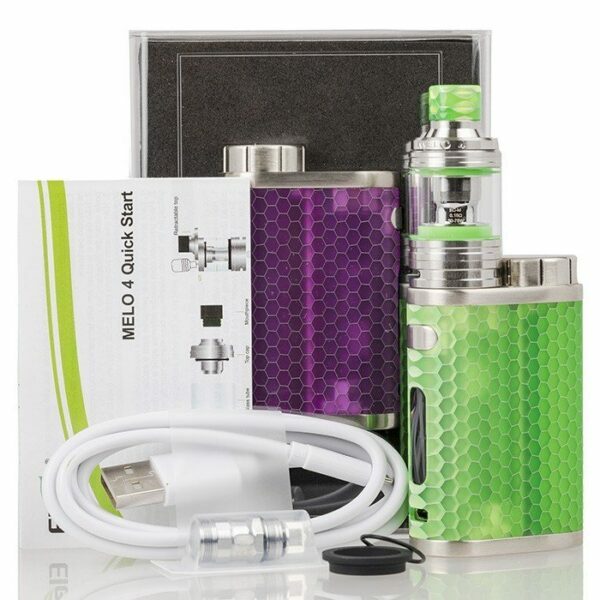 If you’re a fan of the iStick Pico style and format, then you’re in luck, since Eleaf hasn’t done a whole lot to change what you already know and love. But at just a shade over 70mm tall, and a narrow, but comfortable width, this is one of the smallest Pico’s on record. Still, you might be too busy admiring the resin body treatment to even notice. But I sure did – in fact, after admiring the nearly iridescent honeycomb/snakeskin-like pattern of the resin, my only question was, “When are they making a bigger one?” Well, in the vape game, that could be as early as next week, so sit tight. 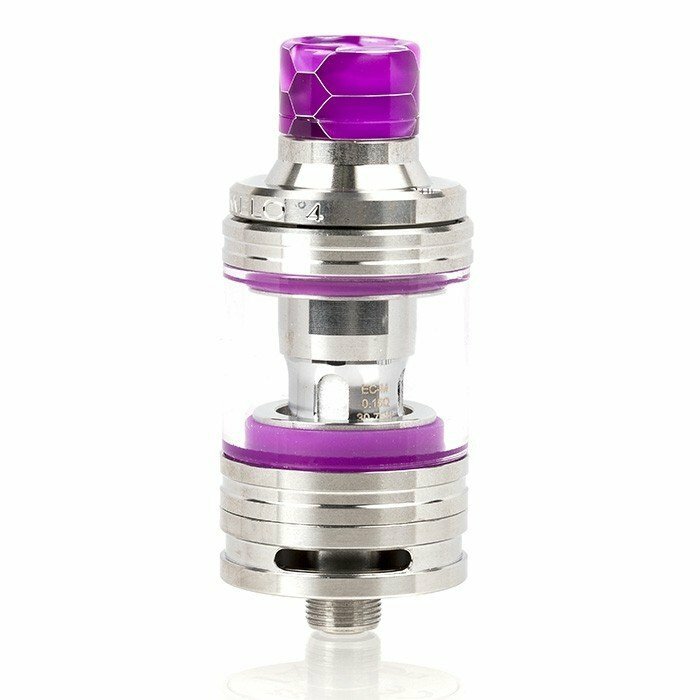 The rest of the iStick Pico RESIN is fairly standard for the series, with the top-loading single-18650 chamber, recessed 510 connection, and the polarizing bottom-mounted up/down control buttons. And I – as I always do – absolutely despised the controls, which rattled and didn’t register many of my presses during use. Plus, as the week went on, the constant use made these buttons even looser, making me question why Eleaf couldn’t have reconsidered this part of the design. Finally, the standard 0.91-inch OLED display does exactly what it’s done for Pico’s since they launched the line several years back. The same intuitive, linear menu system is in place, albeit with a laundry list of features for such a small vape mod. 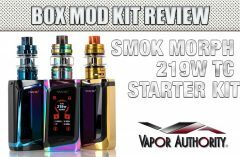 That’s right, the tiny iStick Pico RESIN can hit 75 watts, and offers a full slate of temperature control and TCR adjustments along the way. Not bad for something so portable… not bad at all. I’ve already mentioned that the Pico RESIN has a gorgeous finish, but I feel like it warrants one more nod, because of the fantastic texture from the honeycomb pattern. It’s not significantly grippy or deeply grooved. It’s not curved to sit in the palm. It just feels so damn high-end and comfortable. It stayed cool, even when using it in summer humidity, and it never became tacky. I might be accused of hyperbole when I say Eleaf has generated one of the nicest resin mods I’ve seen, but that’s exactly what happened here. The other key feature is the included MELO 4 sub-ohm tank, which isn’t quite as much of a highlight. This moderately sized, 22mm diameter tank system hits all the required notes, but feels awfully antiquated by modern standards. Maybe it’s the limiting 2mL juice capacity, or the “been there, done that” form factor. But there’s nothing on the MELO 4 that makes it an appropriate pairing for this beautiful little mod. But there has been a few MELO’s that were far higher performers than this one. It doesn’t help that the proprietary coil system is equally flat, in both flavor and vapor performance. Both the EC-M (“multi-holes”) and EC-N (“mesh”) coils seem like they should compete with today’s leaders, but they just swallow e-liquid without delivering proportionate levels of flavor. And they were spent long before most of today’s top coil systems would die under comparable use, even at low-to-mid wattages. 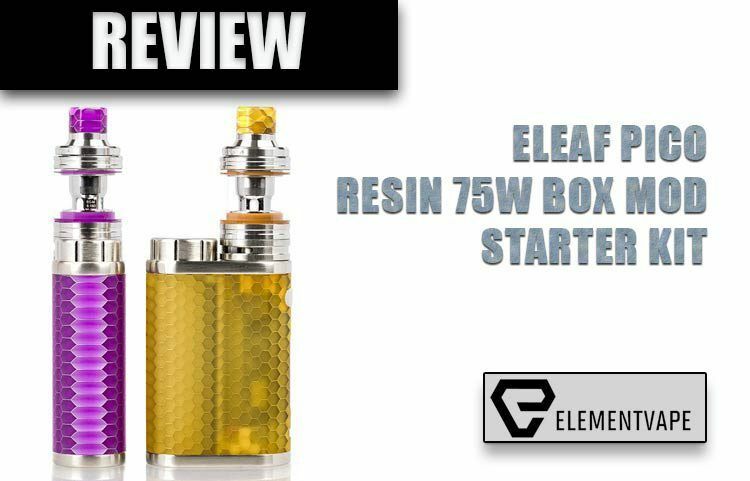 In short, we’ve used EC coils in the past, and have had mixed experiences, but these two aren’t flagships, or even improvements… no matter what Eleaf has to say about them. Despite my complaints, vaping the Eleaf Pico RESIN was an enjoyable experience. 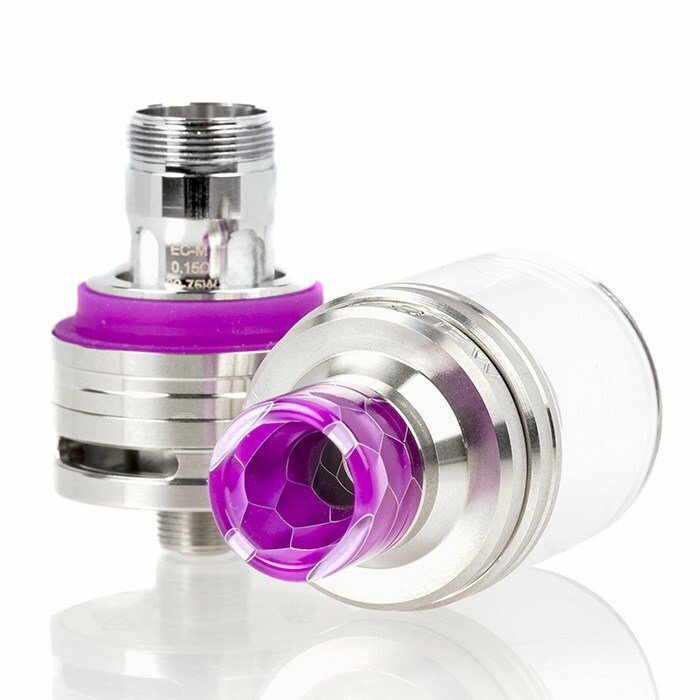 After putting the MELO 4 aside, I used the RESIN with several of my 22mm tanks and drippers, and thoroughly enjoyed the smooth power flow and stutter-free ramping to the 75-watt limit. The onboard temperature control was more than decent, with simple, straightforward adjustments, and surprisingly accurate coil reading. None of the usual jumpiness or random menu quirks applied with the Pico RESIN, making me wonder why other devices struggle with the same things. Another surprising plus was how efficient this well-worn chipset handled battery life. On just a single 18650, the Pico RESIN lasted well into the day, even with a ton of adjustments and tank swaps. Maybe it’s not “all day” power, but I think we’ve learned enough about battery technology and vaping habits to know this isn’t really a common occurrence anyway. Perhaps most important, the Pico RESIN is just fun to vape. 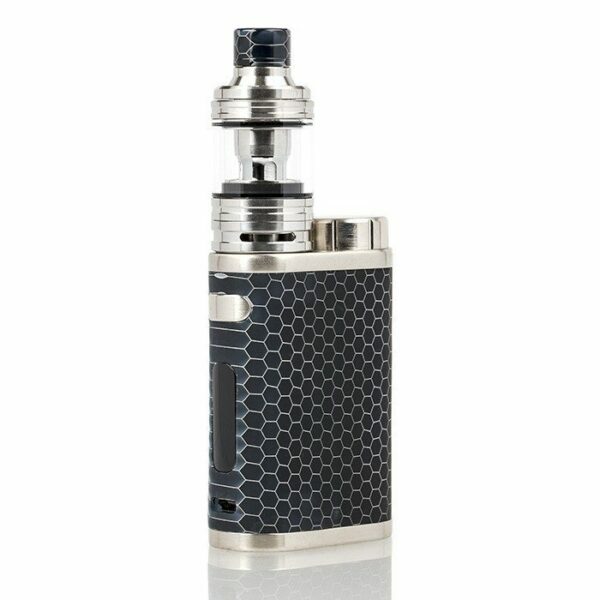 Unlike larger, more involved devices, the Pico RESIN gives you a high-end, noticeable look in a compact, user-friendly package that can be equally stealthy or discussion-worthy. Depending on how much you want to show it off. End this series on a high note, right now. Why end it? Because other than the equally awesome Pico S, the Pico RESIN represents the absolute best we can imagine from the same form factor we’ve experienced for years. They’ve made them bigger and smaller, given them more and less power, and have now conquered frame material. 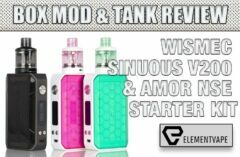 But how many other ways can Eleaf reimagine a basic vape mod design before we stop paying attention?